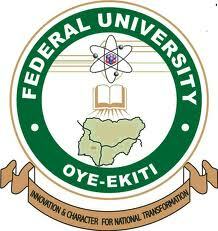 This is to inform all Staff and Students of the Federal University Oye-Ekiti that the Mid-Semester Break ends on Sunday, 4th June, 2017. Accordingly, lecture resumes in the various Faculties and Departments with effect from Monday, 5th June, 2017. Meanwhile, the University Management at its meeting held on Tuesday, 30th May, 2017 directed that all teaching and non-teaching staff of the University who hitherto, stayed away from work should resume immediately. Please be informed that necessary security measures have been put in place to ensure safety of lives and properties, and the smooth running of activities on the campus.